Anime original by Production I.G. 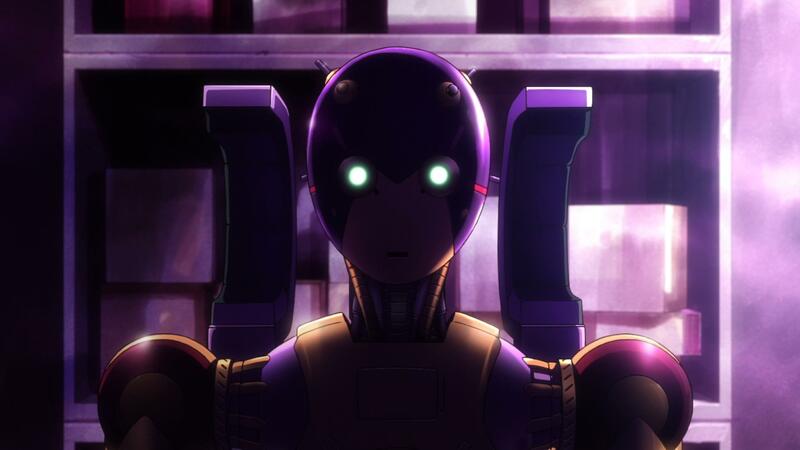 Years before the tale of Astro Boy, Doctors Tenma and Ochanomizu were simple robotics students working on their newest project: A106, a robot with self-awareness. Reboots/spinoffs of ancient franchises haven’t actually been too bad lately (Yatterman Night, Mr. Osomatsu, Time Bokan 24), and this seems like it might follow in those footsteps. Granted, I’m not super familiar with the Astro Boy mythos, but this is already running into the prequel problem where advances in production mean stuff that should be older in-show (due to taking place in the past) seem much fancier and more advanced than the “future”. That’s a minor problem at worst however, with the bigger question being if the show can quicken the pace and begin telling an interesting story. There’s a lot of charming stuff here, but also a lot of standing around without much going on; hopefully we’ll start picking up speed. 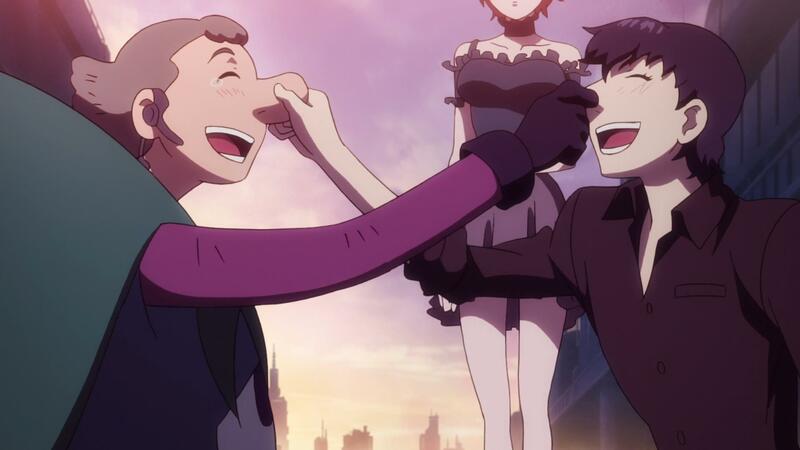 If previous anime like Yatterman Night or Gatchaman Crowds are any indication, spiritual successors and/or spinoffs of venerated longstanding anime franchises seem to work out fairly reliably. 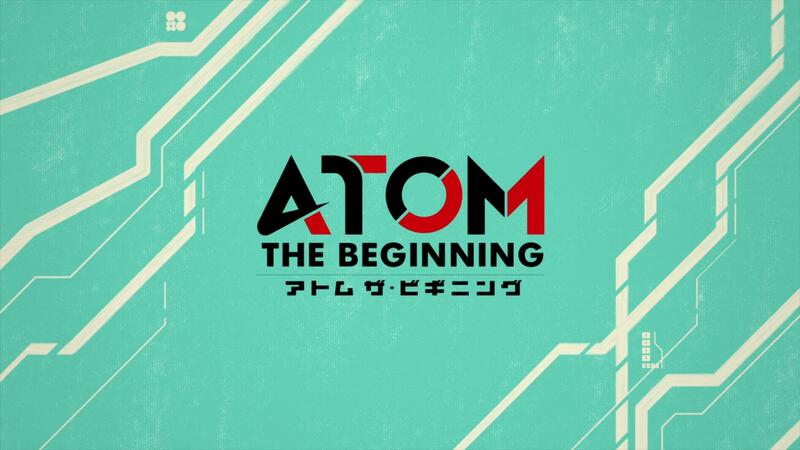 Atom: The Beginning doesn’t blow you away with its first impression, but it lays down a good foundation for interesting things to come. As someone who considers Naoki Urawawa’s Pluto to be one of the greatest manga of all time, I’m totally down to see what another alternate take on the Astro Boy franchise can do. Tenma and Ochanomizu don’t act much like their older selves, but maybe that’s exactly what a weird prequel spinoff needs. If nothing else, it’s got the charm and hand drawn robot animation to keep me interested for now. I’m particularly interested in where they take Tenma, as the character in almost all of his incarnations is considered morally ambiguous at best, repugnant at worst. Do I expect what seems to be a fairly lighthearted story about some quirky scientists teaching a robot the meaning of life to go in that direction? Not particularly, but it’d be interesting to see nonetheless. But for now, hand drawn piston punches are enough.